CBT allows us to maintain control when everything is falling apart. CBT helps create a new framework of speaking to yourself. CBT creates boundaries around our own self abuse. CBT assists in taking away the extra layer of pain we cause ourselves. The seminar included three specific skills and how to use them, as well as actual tools and practices you can implement into your life immediately. This was HUGE for me! Ruschelle explained how important it is to make space in your thoughts and to really look at your thought process. If you find yourself overwhelmed she taught us how to break each thought down into a single sentence and what to do with each single sentence using a chart to identify the thought, feeling, trigger, sensation and action. It seems like a lot for a single thought but for so many of us, slowing our minds down and really exploring each thought and feeling helps us process the multitude of emotionally draining and overwhelming things we contend with on a daily basis. Ruschelle discussed just how important it is to learn to say no. People with Lyme suffer from cognitive challenges and across the board boundaries are a huge problem for anyone with this issue. Psychological problems are very likely to occur when boundaries get bent far out of their ideal shape or cease to filter information properly – saying no is one way to help establish and maintain healthy boundaries. The definition of distortion is to change the shape of something. When we have allowed our mind to distort our thought process, patterns and emotional intelligence, we must be willing to look at those errors. Ruschelle explained how to stop the process, and inject the thought with a more positive way of thinking. Learning to reframe your thoughts can be as simple (and complicated) as learning not to take things personally or making assumptions. Here are a few examples of what you can begin implementing into your life right now to work on Cognitive Distortion. Do not take things personally. It’s about them. Stop making assumptions. Ask don’t assume! Since the seminar, I have been utilizing these tools throughout my days and I find myself to be overall less stressed, more mentally organized, my anxiety more manageable and in general I feel a greater sense of calm and well being. While they haven’t fixed all of my problems in life, they certainly have helped me to slow down, get a handle on my more stressful day to day interactions and I am hoping they’ll possibly offer you a bit of comfort and calmness in your daily life as well. Stay strong! Be mentally tough! Together we can get through this! Thank you so much to Ruschelle for the wonderful seminar and offering such awesome tips and ideas! 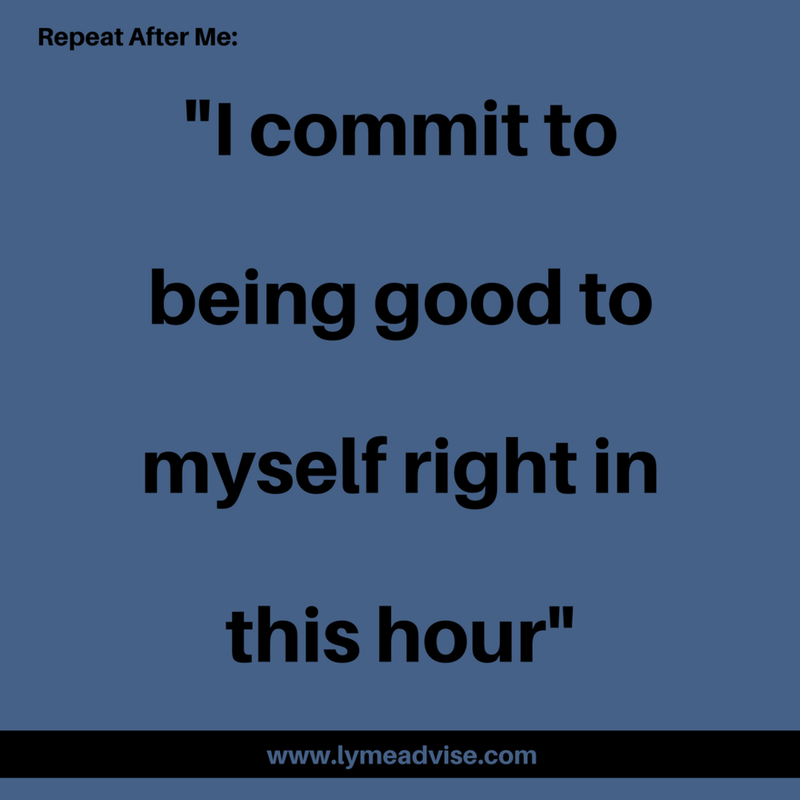 To learn more about Ruschelle Khanna visit her website or view her profile on Lyme Advise here.